We used to seek sun, sea and sand on holiday, but in this digital age people are so preoccupied with social media, smartphones and selfies that they can't relax. Now a new breed of digital detox holiday is booming in Britain to cater for phone junkies obsessed with getting the perfect Instagram shot or checking their work emails. Stressed professionals who spend all their time on mobiles, tablets and laptops will actually pay for their devices to be confiscated on these tech-free breaks. It follows a trend in the US where some hotels offer perks such as snorkelling tours and a free night to visitors who lock their phones away. Technology entrepreneur Tanya Goodin knows better than most how much devices can take over. She said: 'I ran a digital business for 23 years and never took a break. 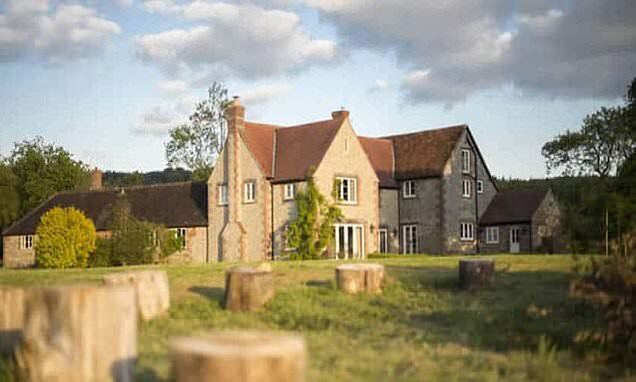 So she set up Time To Log Off, a firm offering breaks in Italy and Somerset where guests are encouraged to 'reconnect with nature'. She added: 'Everyone hands us their tech on the first day and we return it on the last night. 'At the beginning everybody is stressed and terrified of the thought of being without their phones, but by the end people are usually begging us not to give them back.